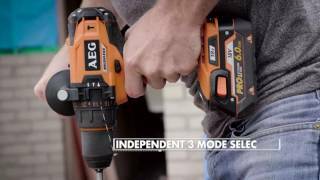 The 18V brushless 3pc combo kit can help you maximise worksite efficiency. It includes a hammer drill, an impact driver, a blower, a smart charger, 2 18V 4.0Ah pro lithium battery packs and a contractor bag. You can rely on every component in this combo kit to make applications easier. 18V 4.0Ah 3 Piece Brushless Combo Kit is rated 5.0 out of 5 by 1. Rated 5 out of 5 by BPR31 from Loving the tools and the service! Tools are great and customer service has been great to deal with! Glad I made the decision to go with AEG! 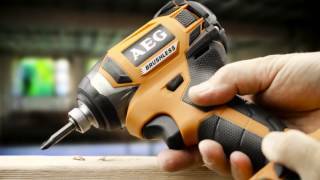 The AEG 18V range is fully compatible with all generations of 18V tools, 18V batteries and 18V chargers.